The latest shocker, reported in Haaretz. Maybe the New York Times will cover this before long, and lament its beloved Israeli democracy for even permitting such discussion. By a leading government minister who seeks to be Prime Minister. Rebecca Vilkomerson said in October that there are fascist trends in Israeli society; Max Blumenthal reported this in his book a year ago; the late Fouzi Al-Asmar reported these Israeli tendencies to the west nearly 40 years ago. Is anybody listening? 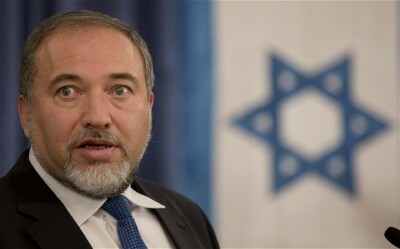 Liberman proposes out loud what many still don’t dare say – the goal is to clear the country of non-Jews, and Arabs first of all. We propose something else: clear the country of the fascists instead. Liberman, Netanyahu, Bennett, you all have foreign passports. Get the hell out, go to Moldova, USA, the Mariana Trench, or anywhere, and just get the hell out of our lives!